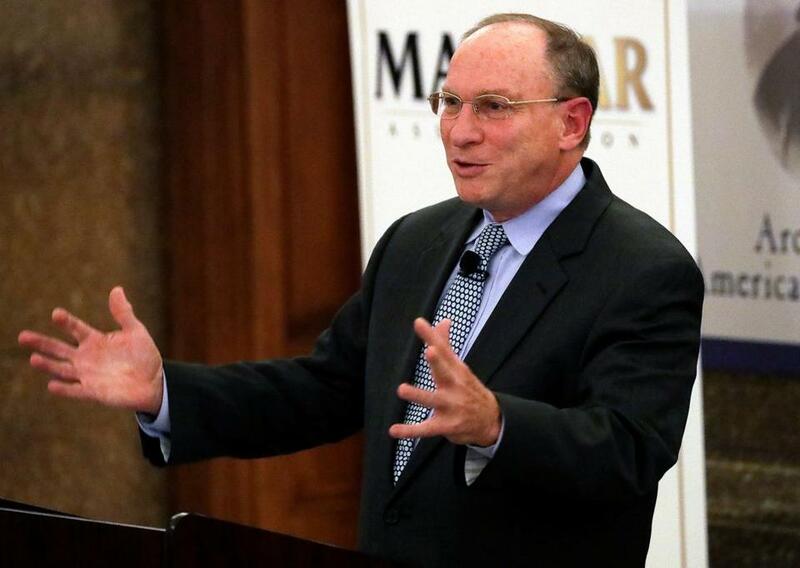 Chief Justice Ralph D. Gants spoke Wednesday during the 19th Annual Walk to the Hill for Civil Legal Aid, sponsored by the Equal Justice Coalition. The chief justice of the state’s highest court made an impassioned plea Thursday for a $5 million increase in public funding for civil legal aid for poor Massachusetts residents, including undocumented immigrants facing possible deportation and the severing of their families. Speaking at the State House, Chief Justice Ralph D. Gants of the Supreme Judicial Court said raising the yearly budget allocation for indigent civil legal aid, to $23 million from $18 million, is vital amid the threat of deportation faced by thousands of state residents from Haiti, El Salvador, and Honduras who recently lost protection under the federal Temporary Protected Status, or TPS, program. “Why $5 million more than last year? Last year, Elsa, a 45-year-old TPS holder from El Salvador who cleans Boston offices from 5 p.m. to 2 a.m., and who takes care of her two sons, both US citizens, during the rest of her waking hours, was not faced with being forced to return to El Salvador and to leave her children,” Gants said. Gants spoke during the 19th annual Walk to the Hill for Civil Legal Aid, sponsored by the Equal Justice Coalition, an advocacy group for legal aid recipients and attorneys. The coalition says approximately 880,000 state residents have incomes at or below 125 percent of the federal poverty level, making them eligible for civil legal aid attorneys who can help with an array of issues, including unlawful eviction or home foreclosure, immigration proceedings, veterans’ benefits, and escaping domestic violence. Gants said during his brief remarks that legal aid programs currently must turn away two-thirds of eligible clients because of staffing shortages. The state established the Massachusetts Legal Assistance Corporation in 1983 to provide representation for indigent people in noncriminal matters, and it’s currently the largest funding source for civil legal aid programs in the state, according to its website. Governor Charlie Baker’s proposed budget for the coming fiscal year includes $18.18 million for civil legal aid, an increase of $180,000 from the current fiscal year, the corporation said Wednesday in a statement. Travis Andersen can be reached at travis.andersen@globe.com.